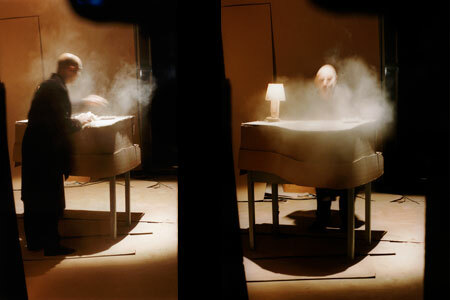 A character plays fragments from Paul Dukas’ L’Apprenti Sorcier in a piano entirely made from cardboard. As he plays, he smokes, puffing out clouds of smoke. Later, he carefully, almost caressingly, cleans the dust covered piano. Dust, smoke and music create the essential – and fugitive– trio of this story. The artist Carlos Pazos plays the role of Pianito. He has also acted in several films and directed several theatre plays. 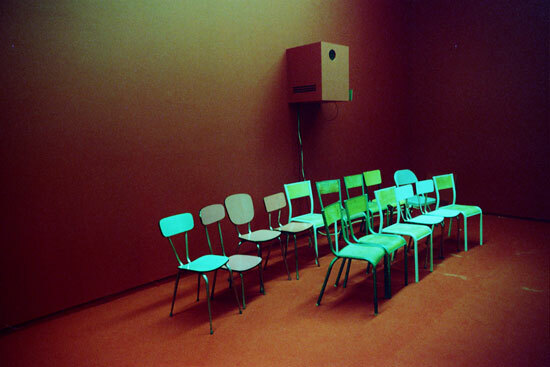 His first exhibition, in 1975, was titled I will make a star out of myself, as a declaration of principles. 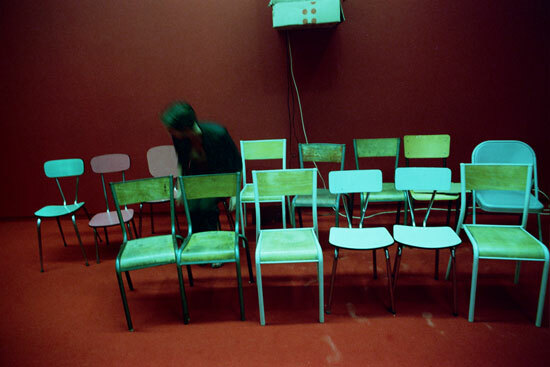 For that exhibition, he produced a photograph series in which he appeared characterized as generic, vague characters from the star system, as if they were caught in situations of false intimacy. In one of the photographs he is looking at the camera, playing a piano. 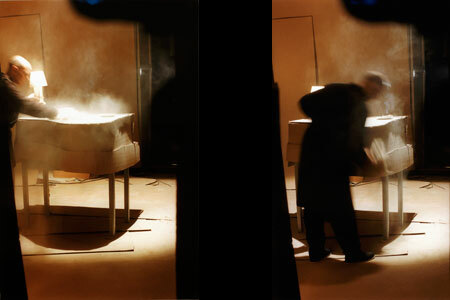 24 years later, he accepted to shoot this video, in which the original, glamorous stage was changed for a cardboard piano and clouds of dust and smoke. The elegance with which he accepted the challenge, and with which he performed the character, don’t leave any room for doubting the degree of irony and complexity when facing his own condition as a star. Pianito supposes as well a step further in my conception of a sculpture stretched out in time. Even though all the action is centered on a cardboard object (a representation, a sculpture) what happens around it is what is truly essential. There is music coming out from this object (an image plus sound) as well as never ending smoke. Music and dust, two elements that remit without doubt to the passing of time.